: a state of mental tension caused by problems in your life, work, etc. This past Summer has been stressful for me and my husband, as we have encountered one stress after another. Nothing really huge, just lots of “little” things that have continued adding up. I don't always share about everything we go through, and its not because I want everyone to think my life is perfect. (Its not. Trust me, its not.) It’s just that I don’t want certain parts of my life to be an open book to the entire world. It's just not necessary, or even beneficial, to share everything - at least not to me. But, you can be sure there are days I have wanted to scream at the top of my lungs due to stress. In fact, I actually did scream like that a few weeks ago when I just couldn't hold it in anymore. It surprised my family, and made the cat run away, because I just don’t do that. But, it was how I dealt with my stress that day. How do YOU deal with stress? Do you scream into a pillow? Punch a wall? Growl at the dog? Pull your hair out? Blow bubbles in your milk? Take a bubble bath? Listen to uplifting music? Withdraw to be alone? Sing in the shower? Go for a walk? Play an instrument? Write in a journal? Pray? 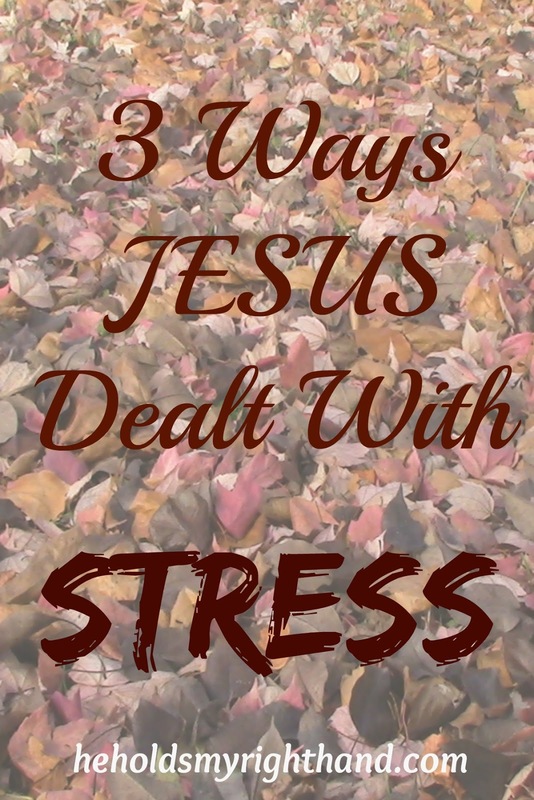 How do you think Jesus dealt with stress? Yes, even Jesus had stress in His life. The difference is that He ALWAYS handled it in a healthy way. Luke 5:16 - But Jesus often withdrew to lonely places and prayed. 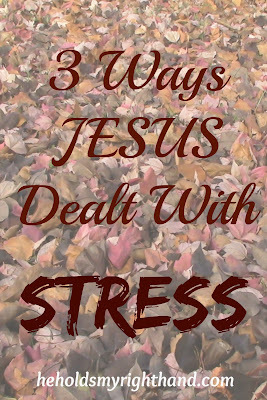 The next time I am feeling overwhelmed with stress, it is my plan to remember these healthy ways Jesus dealt with stress, and try to follow His example. Can I use this? Great Biblical counsel!!! Well said! PtL for the Lord's living example.